Shades of Burgundy, Reds, Lime Greens and Whites finished with a jazzy bauble and sparky ting ting. 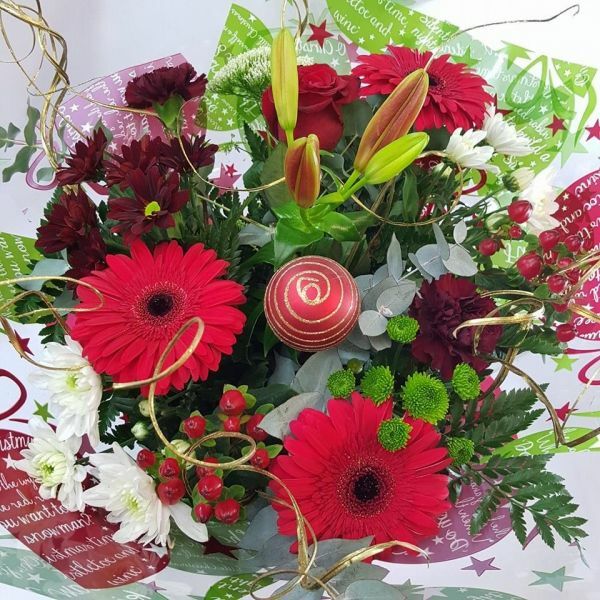 Our florists will choose a selection of seasonal favourites, including a variety of interesting and long lasting blooms. Finished with a selection of beautiful foliage and giftwrapped in an aqua packed gift box, making the perfectly presented gift this Christmas.